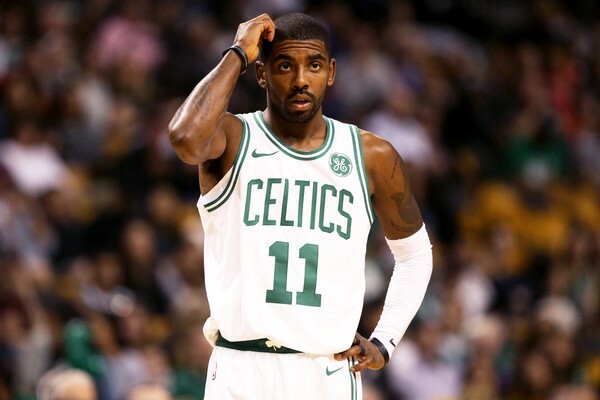 The Boston Celtics haven’t even had Kyrie Irving on their roster for a year, and yet they’re already afraid of losing him. “I think they’re scared. I think they’re scared and should be scared to some degree of Kyrie Irving walking in 2019. I know he had a great year, but you know there are people in Cleveland that will tell you that the Knicks should be considered a real threat for Kyrie Irving. Because Kyrie had talked about it, about playing with the Knicks with some players in that Cleveland locker room from what I was told. As Charania points out, this feels like a premature concern. Maybe Irving wanted to play for the Knicks while in Cleveland, but the Celtics are an objectively better situation. Unless he feels as if he’ll be marginalized, somehow, by the emergence of Terry Rozier, Jaylen Brown and Jayson Tatum, it doesn’t make too much sense for him to seek a better situation. It won’t exist. Plus, the Celtics can offer him a fifth year, along with eight percent raises, that other teams cannot. Irving has already gone against the grain by leaving LeBron James’ side, but that financial security has to hold weight with him given his history of knee injuries.